Promoting a book is a challenging thing. This is especially true if you are a first time author, or if you are writing for a niche market. 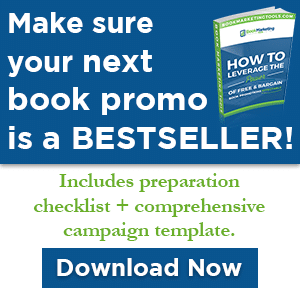 If you have a publisher, they may have very little when it comes to resources to promote your book (those funds go to proven moneymakers), so you are left to handle much of that task on your own. If you self publish, then book promotion is something that falls squarely in your lap. Chances are, you don’t have the funds to advertise your book in any effective way, nor do you have the time to launch a book tour. Even if you did, that’s where the big guys are, which means too many barriers to entry. 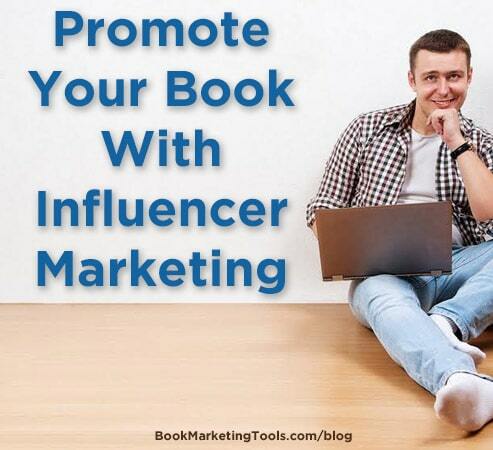 This means that your best bet for promoting your book is through social media. More specifically, you’ll be using social media to attract the attention of and develop relationships with key influencers to help your book get the traction you need to make sales. The next question is, how do you establish relationships with influencers, and how do you get them to buy into your book? Check out the five tips below to find out. The time to start developing relationships in communities that you believe will be interested in your book is during the planning and writing stages. This is when you create a website for you book, and a social media presence. This is when you join discussion groups, and start following bloggers in your niche. While you are writing is the time to engage in conversations, to share your story and the story of your book, and to help others in your niche, by boosting them on social media. This is also the time to start identifying the people you believe will have the most influence over people who might be interested in reading what you have written. Most importantly, this is the time to start creating great content about yourself and about your book. The brand you develop for yourself and your book will have an influence on whether or not your marketing efforts will work. If you are too enmeshed in writing your book to also create great promotional content, consider hiring a professional writer. To read reviews of the best content writers, take a look at all top essay writing services reviews. Once your book is ready to go, you’ve established a presence in the right online communities, and fostered good relationships with both influencers and followers, it’s a good idea to provide a promotional copy of your book to those you have identified as being influential. Invite them to read your book, and to let you know what they think. Then, encourage them to leave reviews on websites such as Amazon, Barnes & Noble, and ITunes. If they are willing to, another helpful thing would be a quote for your promotional materials. If you don’t receive a response right away, don’t be afraid to follow up. In fact, you might need to follow up more than once to make sure that you stay on the influencer’s radar. Every person who shows an interest in your book, every person who shares your content, every person who offers to write a review for you, and every person who recommends your book to others is deserving of your response and gratitude. This is the case, even if they aren’t somebody that you’ve identified as being influential. Because, even if they aren’t influential on a grander scale, they still have the potential to drive several people to take a look at your book. This is why it’s important to respond to everybody who participates in discussions about your book, and to express gratitude when anybody takes action that will help your book reach more people. Regardless of how your efforts to target a particular influencer works out, the last thing you want to do is take your ball and go home. If you do, you will broadcast a message of insincerity to both the influencer in question and any followers between you. Instead, continue doing everything you have done to foster a positive relationship. You never know, they might have a change of heart in the future. Most influencers are going to do a bit of vetting before they decide whether or not to weigh in on your book. If they believe that you are fully relying on influencers to do your promoting for you, that’s not going to be seen as a positive. They’ll wonder why you aren’t acting to help yourself, and why you haven’t managed to generate sufficient interest. In other words, don’t continually look upwards with your marketing efforts. Pay attention to the people who are following you as well. Julie Ellis is an experienced freelance writer, marketer and passionate traveler. When she’s not engaged in helping her customers and students, you can find her reading articles and books of young writers and attending marketing conferences. Follow Julie’s Twitter to find more about academic and business writing.